january 31st - sold out!! Dancing Queen - Mamma Mia - Waterloo - Winner Takes It All - Fernando - Voulez-Vous - Gimmie, Gimmie, Gimmie - S.O.S. - Knowing Me, Knowing You - and many, many more!! movie. And on Eurovision's 50th anniversary, “Waterloo” was voted the best song in the contest's history. 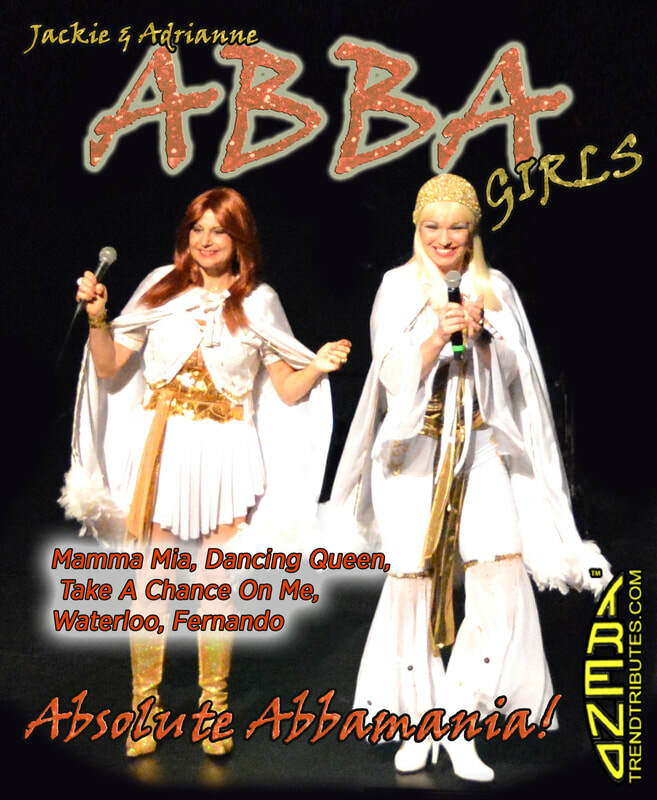 Ontario based duo's exciting tribute to the Scandinavian recording stars has been a smash hit. many more. And since ABBA's songs are great to dance to, the dance floor is usually packed at their shows, with the gregarious Jackie and Adrianne often joining the dancers. The Luna Lounge, in Bucerias.